Brown Commercial Group completes 18,947 SF of new transactions | Brown Commercial Group, Inc.
Brown Commercial Group has completed three leases and a sale totaling 18,947 square feet in Chicago’s western suburbs to growing end users. 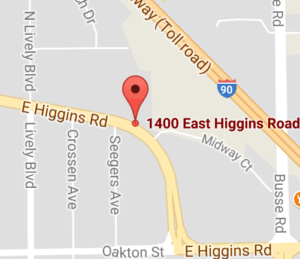 The transactions were in Carol Stream, Elgin and Franklin Park, Illinois. Brian Lindgren, a sales associate with Brown Commercial Group, represented both the buyer and the seller in the sale of two buildings at 953½ and 955 Grace Street in Elgin. The adjacent buildings are 4,495 square feet and 5,032 square feet, respectively. The buyer, Matthew Moraca Properties, a plumbing contractor, is expanding its business from a smaller leased space in Elgin. The seller, Precision Pavement and Marking, Inc., is also expanding into a new build-to-suit space. 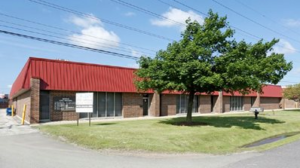 Brown Commercial Group senior vice president, Trinity Scurto, represented both building owner, Metro Resource, and tenant, Integrity Tech Group, in the lease of 3,840 square feet at 10915 Franklin Avenue, Unit C, in Franklin Park. Brown Commercial Group associate, Matt Hanson, represented Prime Carpentry Group, LLC in its lease of 3,600 square feet at 400 E. St. Charles Road in Carol Stream. Brown Commercial Group vice president of sales, Mike Antonelli, represented building ownership, a private investor. In a separate transaction also in Carol Stream, Hanson represented Macro Sales in its lease of 1,980 square feet at 120 Easy Street, Unit 5 while Antonelli represented the building owner, a private investor.